A distraught mother has said she fears her young family will be split up as her being granted citizenship has been delayed. Megan Crowley (37) claims that the Department of Justice temporarily lost her original application for Irish citizenship when she filed it fifteen months ago, and in that time her UK residency permit lapsed. While she was approved for citizenship in December, it's not legally binding until she attends a citizenship ceremony, something she can't do until she has a new UK residency permit - which may take up to 18 months. To make matters worse Megan's father is seriously unwell in the US and if she wants to visit him she will need to get her passport back, which will void her residency permit application and she won't be allowed to return to Ireland. She spoke about her ordeal to Independent.ie and said that she is devastated at the thought of splitting up her family, who are based in Belfast. She said that she moved here almost ten years ago after meeting her now husband Richard in Boston, they settled in Belfast so he could be with his two children from a previous relationship, they have since gone on to have two daughters - Anna (11) and Mary (9). Megan said: "My children are upset, my husband is upset, I haven’t been able to eat or sleep. My youngest is just constantly crying. "My husband and I love each other, we have never lived apart from each other. 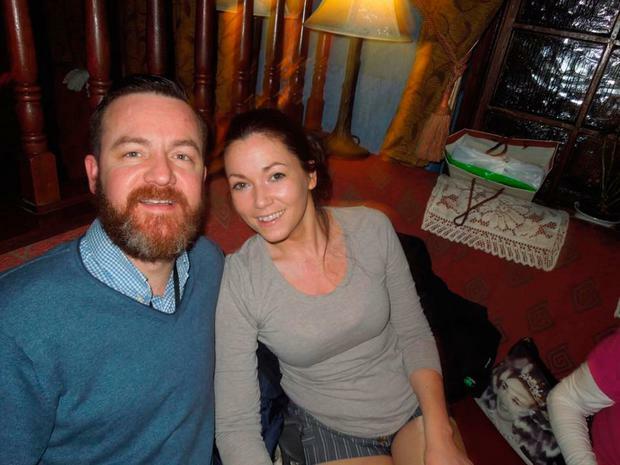 We met 14 years ago in Boston and we found out we are both from the same small town in Limerick, Cappamore. 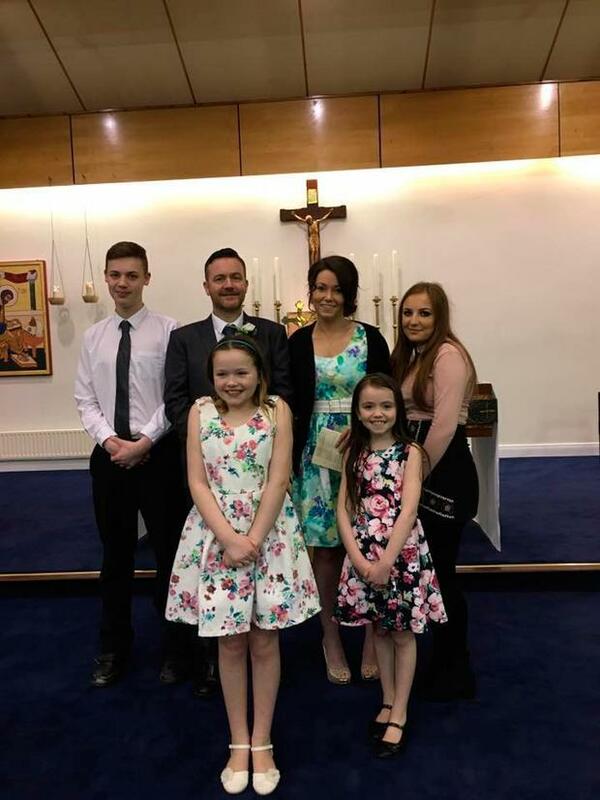 "We love our children, our son is starting uni next year, our daughter Anna is starting secondary school, our youngest Mary is getting a big award at the Belfast School of Music on Saturday. "We’re a law abiding, normal, living family. We just want to stay together. It’s a very easy thing for Justice Minister Charlie Flanagan to step in and help us. We are an Irish family." She continued to say how her nightmare started. Megan said: "I sent in my application 15 months ago, I had in sent recorded delivery. "They said they would return my passport in four weeks, but after eight weeks I had no response. "So I wrote to them and asked them what was happening, they then said they would look into I and then asked for a tracking number, so I knew they had lost it, they found the application in May 2017 and began processing it then. "Most applications are finished in six months, all my friends who had no Irish family were getting approval and mine had not come. "So I contacted the office in November and was ignored. My UK residence permit was expiring in December and I didn’t have £2400 to pay that, so I asked Minister Flanagan to look into why my case was taking so long and to step in to get my approval, two days before Christmas I got approval but it's not legally binding until I go to a citizenship ceremony." She continued to say that she has applied for her new UK residency permit but has been told it could take up to eighteen months to arrive and she isn't allowed to attend a citizenship ceremony without one. "I don't have a UK permit now but it seems unfair that if they hadn't lost my application for months I would still have a valid card, unfortunately it expired in that time." She also isn't eligible for a spousal visa as Richard, who works as a decorator, falls below the income requirements. There was a citizenship ceremony last month and Megan was dismayed not to be invited. "When May came around two weeks before the ceremony, I wrote asking where my invitation was. "Instead of an invite, they sent me a request for my UK residence card, which I had already told Minister Flanagan’s office in December would not be issued for over a year. "I wrote to them saying I did not have that, as it takes a very long time but reminding them that I was still legal as my application is pending and that I previously provided them with 9 years and 7 months of continuous legal residence in Ireland," she said. Megan's father is sick in the US and she is torn about whether she should go visit him as she would not be able to come back to Ireland. "My dad is really unwell, his heart has stopped six times already this year but if I want my passport back I would have to pull my application and I wouldn't be allowed back in. "I really don't know what to do and I'm thinking should I just wait and see how things go for him. "My husband also wouldn't be allowed into the US as he has a ten year ban for overstaying his visa. "Where would my kids live, they're in school here, their lives are here. "I don't want to miss anything, I don't want to leave them." A spokesman for the Department of Justice told Independent.ie: "The Department of Justice and Equality does not generally comment on individual cases but irrespective of the jurisdiction from which an applicant applies, the Minister cannot consider such an application unless the appropriate permission to remain is in force and we have evidence of same."